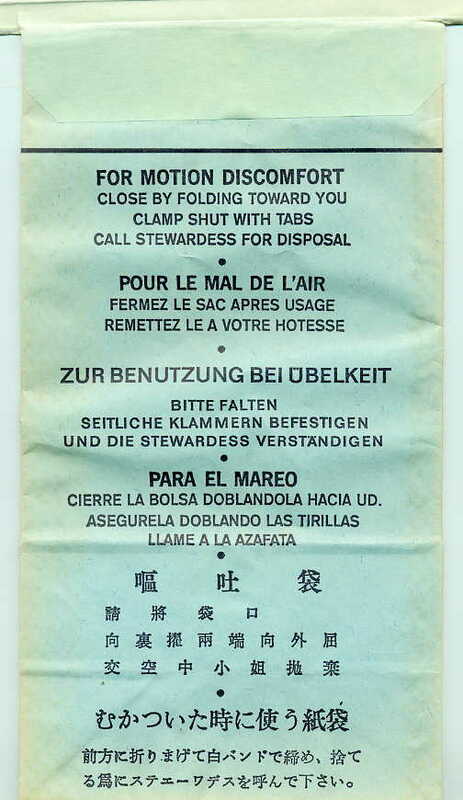 This bag is identical to this one, EXCEPT that the word BENUTZUNG now has been corrected with an umlaut to BENÜTZUNG. 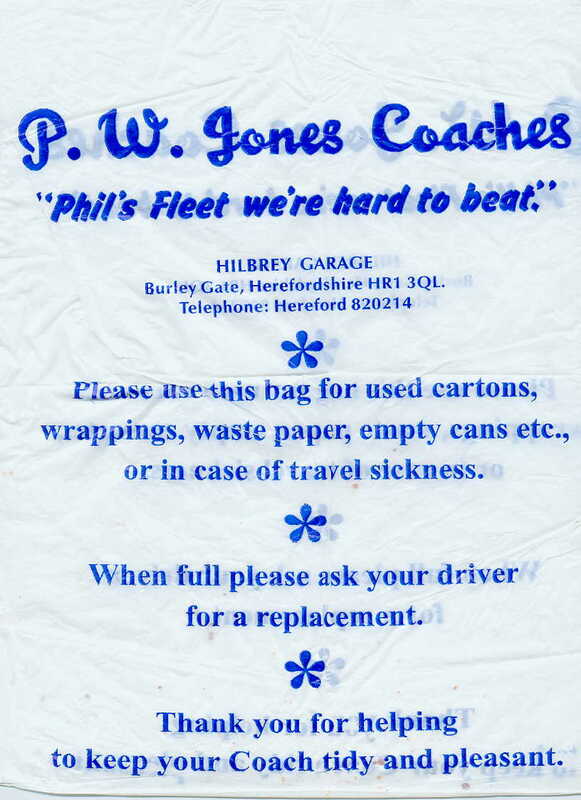 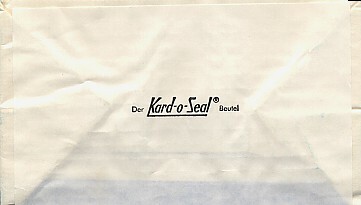 Similar to the other 60's style waste bags, except this one is navy and has the Kard-O-Seal bottom, although there is no registerd trademark (®) on this beauty. 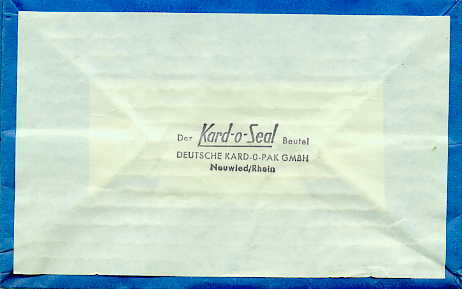 Similar to the other 60's style waste bags, except this one has the Kard-O-Seal bottom. 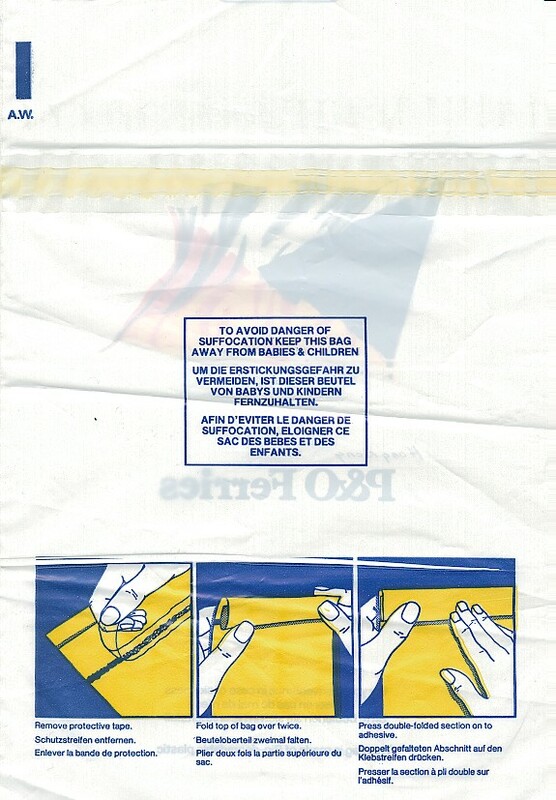 Difficult to tell. 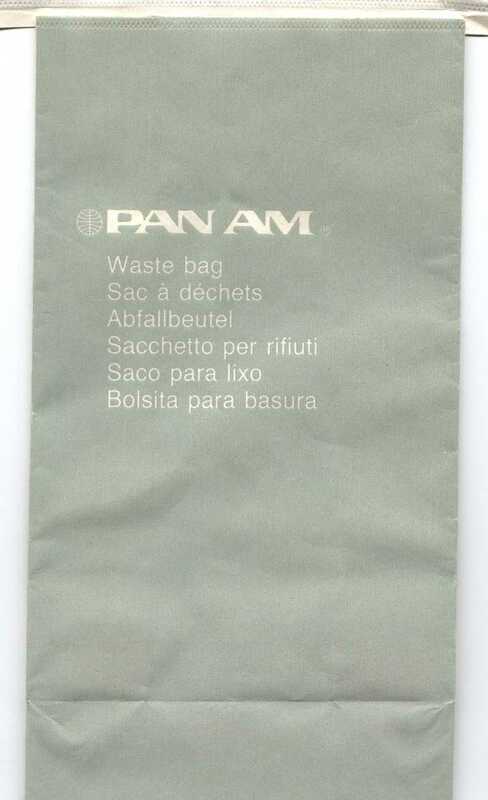 I believe it's either United or Pan Am. 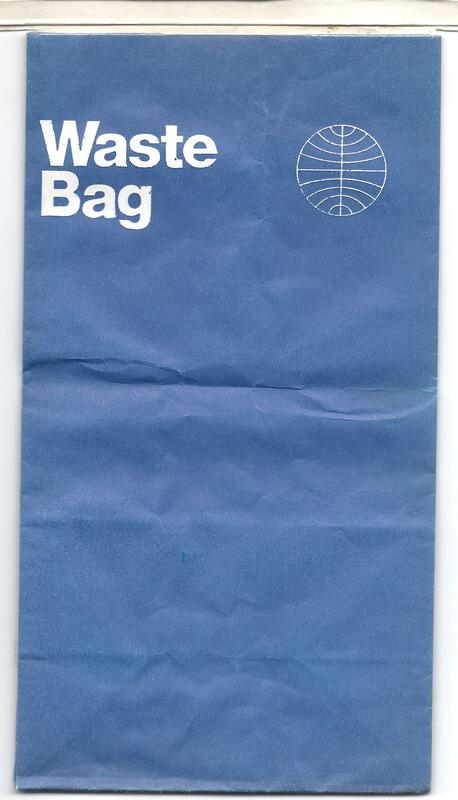 It has the same text as this United bag, but the design looks a lot like this Pan Am Bag. 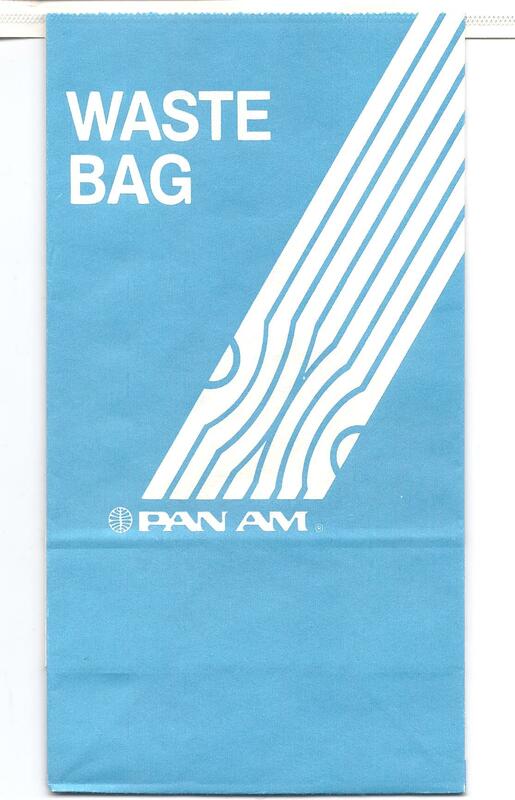 Bag Interior Decorator, Bob Grove says he thinks it's Pan Am, so that's how I'm classifying it. 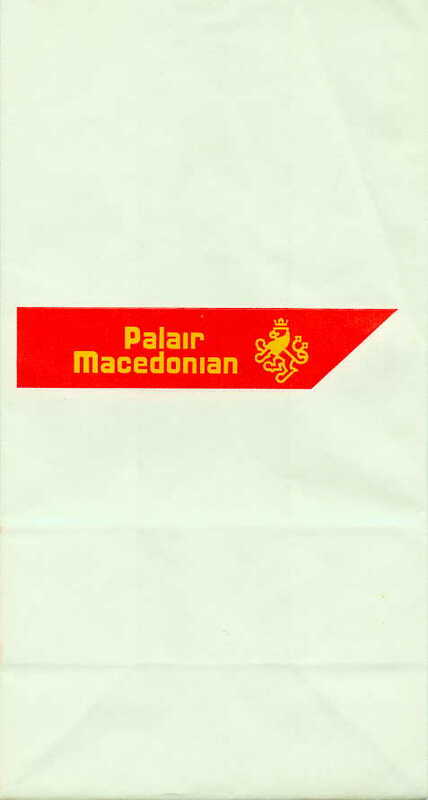 Sports a 60s style logo somehow reminiscent of the United Nations. 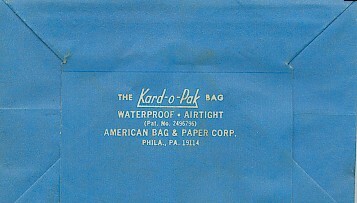 Exactly like the other 60s style bag reminiscent of the United Nations, except this one has a Kard-O-Pak bottom. 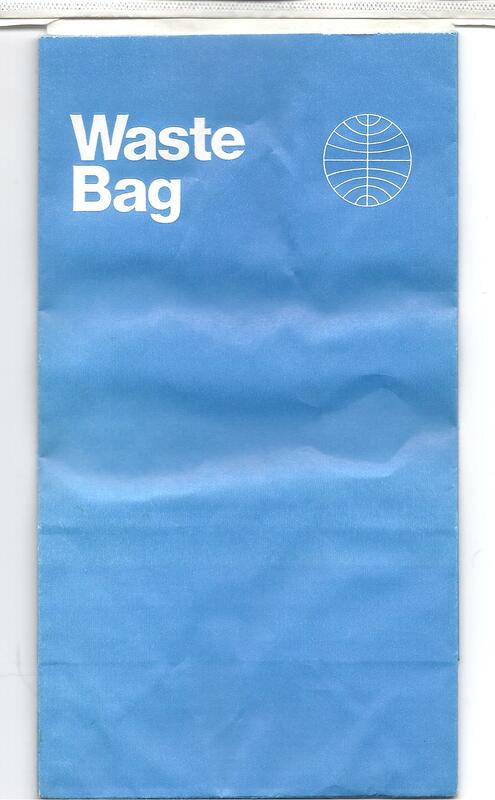 This bag is a classic from the 70s. 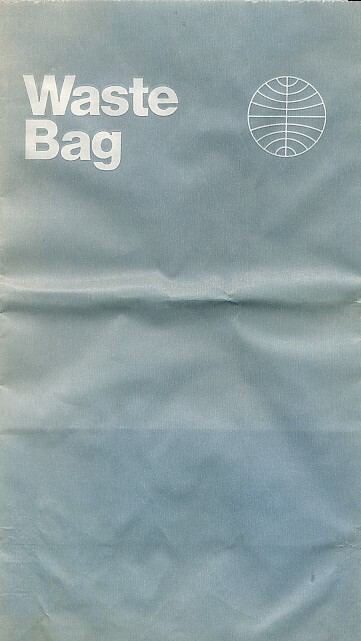 The only Pan Am bag printed in Landscape as well as Portrait. 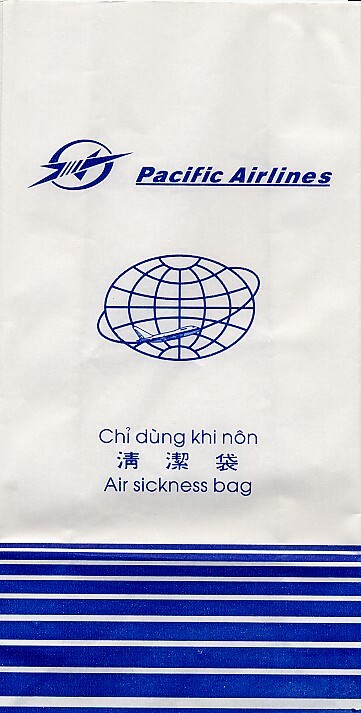 This bag displays not quite laminar air flow. 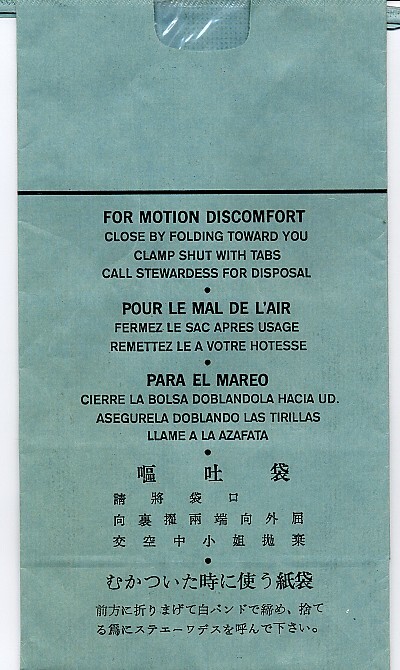 Out of business! 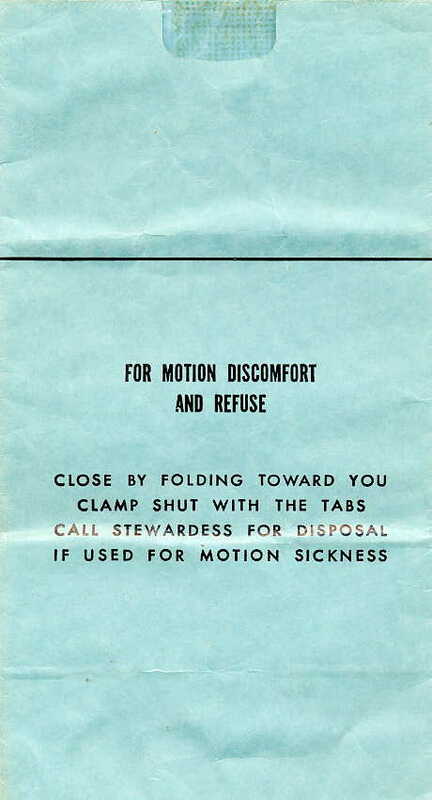 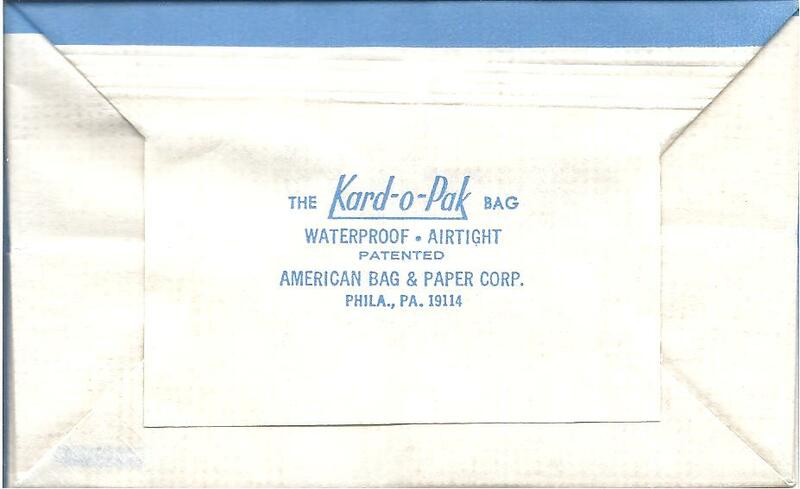 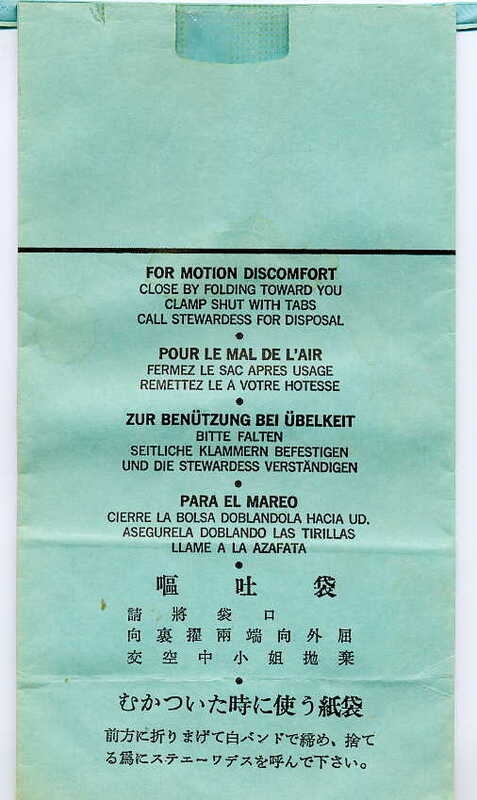 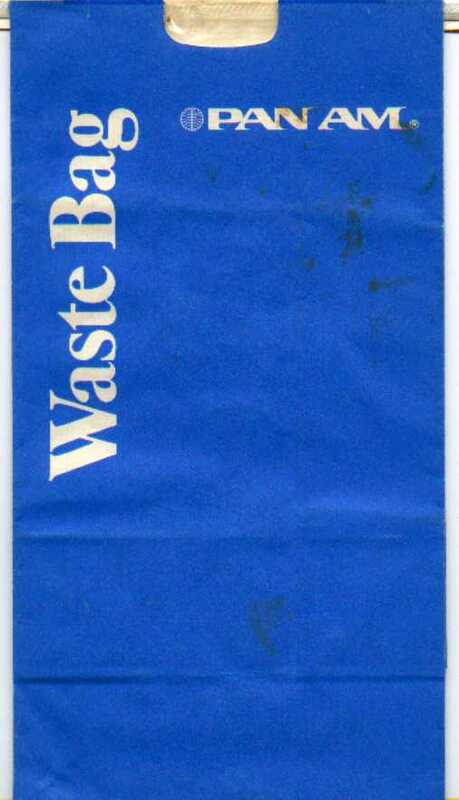 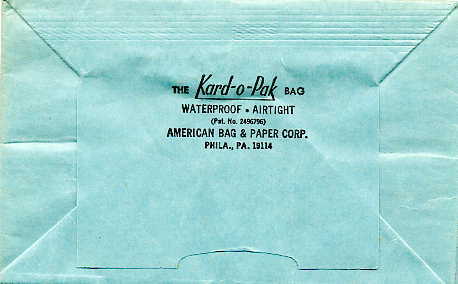 Similar to the other 60's style waste bags, except this one is blue and has the Kard-O-Seal bottom, although there is no registerd trademark (®) on this beauty. 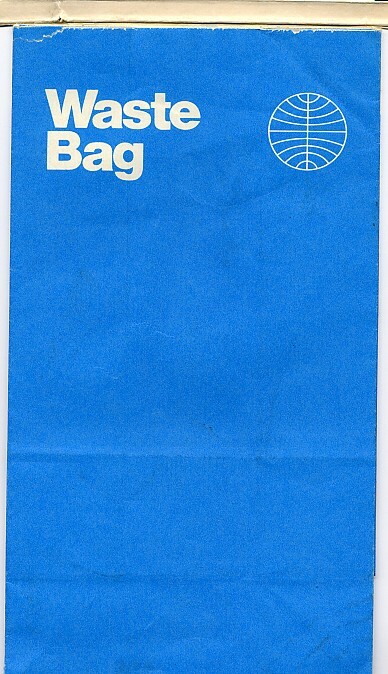 This bag is a classic from the 70s. 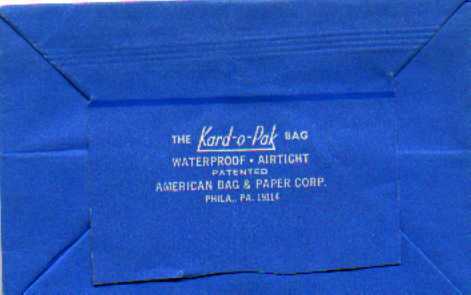 The only Pan Am bag printed in Landscape as well as Portrait. 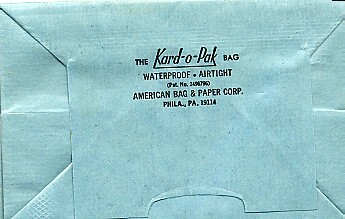 Unlike the other similar bag, this has a white bottom with the Kard-O-Pak brand and a zip code. 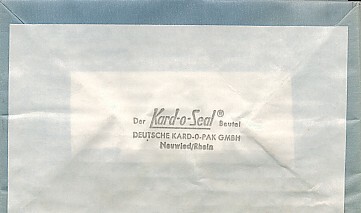 Identical to previous versions except for telling black German Kard-O-Seal markings on the bottom.